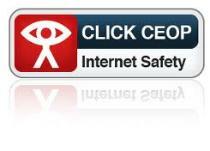 You are clearly concerned about something that may have happened while online, but you are now in control. If you are in immediate danger or want urgent help call 999 or contact your local police. Otherwise there are a number of ways to receive help and advice as well as the option to report any instance of sexual contact or harmful material to us at the Child Exploitation and Online Protection Centre. You are doing the right thing and by taking this action you may not only help yourself but also help make other people safer as well. For more information about reporting abuse please visit the website.